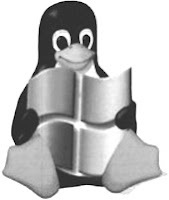 Running Windows with Linux: Virtualization or Dual Boot? Whether you’re a seasoned Linux user or a fledgling penguin, we all have to admit that there are some things you can’t do without Windows. Redmond’s monopoly and software consumerism have made Windows one of the most indispensable relics in the world of technology. Be it games, office tools, animation software, or drawing suites, Microsoft’s dominating platform offer it all. This dominance has, in turn, restricted the growth of Linux and even Mac OS, thus forcing people from using Windows for one job or the other. If you too are a Linux user in need of Windows to get some small jobs done, there’s absolutely no need for you to switch over to the dark side. You can, instead, install Windows side-by-side and switch to it whenever needed. Or, if that doesn't suit your needs, you can virtualize Windows right from your Linux desktop and get your job done without making any drastic changes to your system. Now, the question for many users is, which path should he or she choose? Virtualization or Dual boot? To solve that dilemma, we've compiled a list of pros and cons you’ll encounter while switching to either of those options. First of all, before you pick up that rusting copy of Windows, it’s better to know the purpose for using Windows. What do you need it for? -For games, work, or simply to get some small jobs done? A simple way to determine whether to dual boot or to virtualize is to ask yourself this question -- is what I do on Windows really resource-intensive? That is, does it put too much load on the system? If the answer is yes, then by all means go for dual boot. If the answer is no, you’re better off running Windows on a virtual machine. To dual boot is to run both Windows and Linux side by side. It is not exactly rocket science and you don’t need any special skills to boot both the operating systems side by side. More user-friendly operating systems like Ubuntu automatically detect the other operating systems that are installed and ask you whether you want to install both of them side by side. 2. If you’re dual booting Windows and Linux, always install Windows first then go for Linux. This installs the Linux bootloader (GRUB2) on top of Windows thus letting you switch easily between either of the systems. 1. Both the operating systems coexist in peace. That is, data or resources from one operating system never interfere with the other. 3. 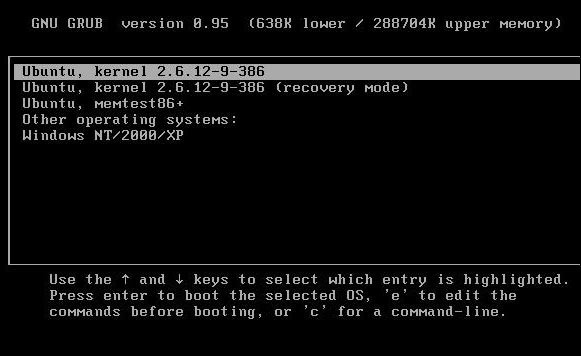 Dual booting can be done on any computer, even if it has a really low-end processor and limited RAM. All you need is a good amount of hard disk space. 1. When you install Windows, it takes much more space than Linux. Also dividing space between the two operating systems limits the disk space a lot. 2. Although you can access Windows data from Linux without trouble, you can’t access Linux files from Windows easily. 3. 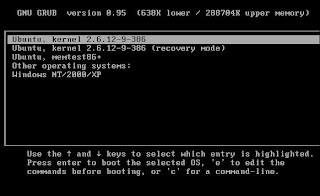 Sometimes, if we make some changes to Linux that affects the bootloader, Windows might refuse to boot. Errors like ‘NTLDR missing’ are quite frequent in these cases. Virtualization is, in simple terms, one operating system running on top of another. We've already talked at great length about the process. In our earlier article, we've covered the best virtualization software for Linux. Also, for Ubuntu users, we've compiled a list of the best virtualization tools compatible with Ubuntu. 1. While virtualizing, unlike dual booting, you don’t end up wasting valuable disk space. 2. If you’re on the more adventurous side of life, feel free to tinker with the virtual OS as any changes you make won’t screw things up as bad as you do while dual booting. 1. While you can dual boot safely on a Pentium-II machine, virtualization does require you to have a computer with a fast processor along with an ample amount of RAM. 2. As easy as virtualization is, some new users might not be that comfortable with the idea of running one OS on top of another. There are many users who find virtualization a tad uncomfortable. 3. You cannot do everything on a virtualized machine. A virtual machine is good enough for MS Office and other less resource-intensive tasks; however, if you want to play video games or edit movies, there’s no substitute for dual booting. One other "pro" for virtualization: You can make copies of the machine image, so for instance, if you want to test something on a vanilla Windows install, you can make a backup copy of it, and test out whatever you need to do. Absolutely great for testing out your software on various configurations, and even better for making sure that your installer (for a piece of software that you have written) works on a vanilla install of Windows! Great tut, but i have never used windows in virtual box but used linux in windows virtual box. I have been running Windows under linux since it was Win98 running under Win4Lin in an old slow machine. 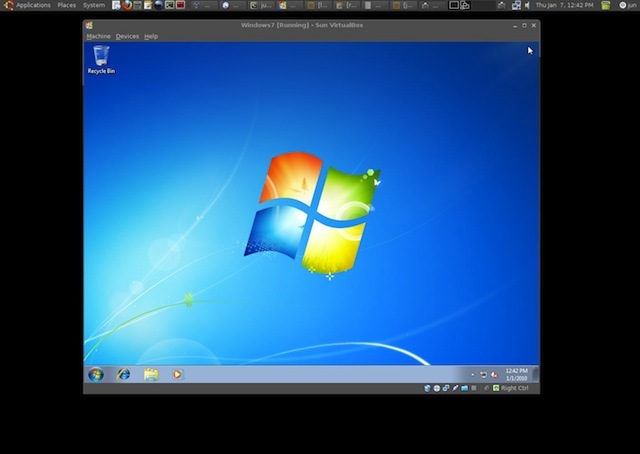 Now it is Win2K or WinXP running under VirtualBox in an i5 8GB RAM machine. I would add one thing to the decision process: it is not exactly "is what I do on Windows really resource-intensive?" Instead, it is are the resources granted to the Virtual Machine (VM) sufficient to do the job reasonably well? Some of the applications I have used under Windows in VMs have been resource intensive but the VM and host machine have been up to granting what was needed. If there is not direct interaction with the GPU in the app, it may run about as fast under a VM as it does natively. Sometimes faster (Win4Lin was famous for that with Win98 in olden times). Another thing that some of us who have been using Linux for 10 or 15 years have as an issue is old applications and old applications supporting old hardware. I have 2 scanners using drivers and software that are not available for modern windows. There is no Linux SANE driver for either. They work fine and fast under VMs running under Linux. I have a better scanner that works fantastically well under Linux but it is overkill for quick B&W copies of letters and documents. Since the release of Win7, I've dualboot a barebones Win7 Pro with VMWare on it, and a barebones Ubuntu with Xfce running VMWare for Linux as well. I keep the native Win7 Pro for the hardware driver support that I can't get VMing Win7 through Linux. And my main machines are ALL Virtual, so whether I boot from Win7 or Linux, it all works out great either way. I keep my VMs,(and a lot of other stuff) on a 100Gbit FreeNAS server, running RaidZ with just an SSD in the main workstation. And a swap partition for both Linux and Win7 on the SSD. Performance is great. In conclusion, I'd say dual boot, so you have native Win7 handy for when you NEED the hardware/driver support, and run EVERYTHING else in a VM. Esp with VMWare. It's SO worth the investment for more reasons than I can begin to list here.